General Rubber is proud to offer on-site supervised plant surveys and inspections in addition to troubleshooting training and expedited replacements. We can also meet your needs through remote or hands-on training by making recommendations or scheduling plant walk-downs. General Rubber plays an active role in finding solutions to our customers’ needs. 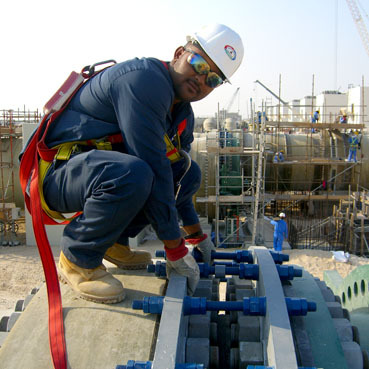 Our field services are offered through our Plant Reliability and Efficiency Program (PREP). This program focuses on predictive maintenance by utilizing traditional inspection methods, optional advanced volumetric inspection techniques, industry best practices, and performance replacement rubber expansion joints (REJs). This comprehensive MRO-focused program includes an FMEA matrix of failure modes and respective corrective actions, and is a critical part of an effective risk-reducing action plan. At General Rubber we think it’s important to not only survey and inspect, but to quantify our observations and recommendations, as well as educate our customers. More information about our PREP program and how it can help improve your plant can be found on our PREP page. In addition to our extensive on-site capabilities, our technical support team can answer your questions remotely and provide the solutions you need to ensure the continuous and safe operation of your plant. If you are interested in learning more about our field service offerings, including our training opportunities or PREP, please contact us today.